We’ve designed a system for cleaning yours up. When’s the last time you used one of your apps in Swahili? What about Tetum? That’s what we thought. And, there’s more than just language files that are wasting space on your system. CleanMyMac 3 lets you get rid of all the added extras on your Mac, without the worry of removing a critical file. It’s not your photos that are wasting space, it’s the hidden copies in your iPhoto library. You see, anytime you edit or rotate a photo, iPhoto creates a duplicate of the original and hide it for safe keeping. This means gigabytes of useless copies. CleanMyMac 3 cleans out all of them without harming any of your photos. Each and every attachment you receive in Mail, from PDFs to signatures, get saved to your Mac. Know what that amounts to? A lot. Plus, if you want to manually clean out those gigabytes of attachments, you’d have to crawl through your entire mailbox searching for every single paper clip. 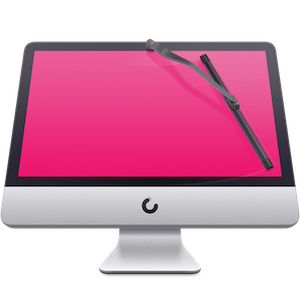 Save yourself the trouble — CleanMyMac 3 is happy to take care of it for you. There’s more than just tunes in your iTunes. iTunes stores gigabytes of files other than your music, including outdated device backups, old software updates, broken downloads, and more. But it’s easy to clean up with CleanMyMac 3. Just do a quick a scan of iTunes and you’ll have more space for your tunes in no time. 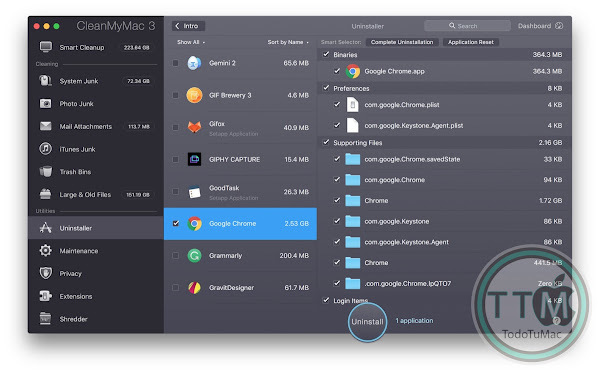 Use CleanMyMac 3 to discover all the old files you’ve forgotten about on your hard drive. It scans folders and disk drives to show you the files that haven’t been opened in a long time. Why hang onto stuff you never use? Let CleanMyMac 3 gather it all together, and then you decide what’s worth keeping. Macs do too, and CleanMyMac 3 empties all of them with just a click. It finds all your Trash bins: external drive trashes, iPhoto trash, Mail trash, and other app-specific trashes — and then empties them all out. So tonight, it’s your turn to take out the garbage. But luckily, all it takes is a click. • Some bugs and crashes.